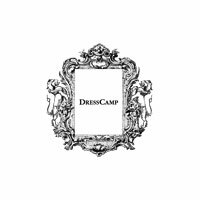 DRESSCAMP (ドレスキャンプ), founded in 2002 by Toshikazu Iwaya, is a flamboyant and glamorous label specializing in OTT apparel for both men and women. 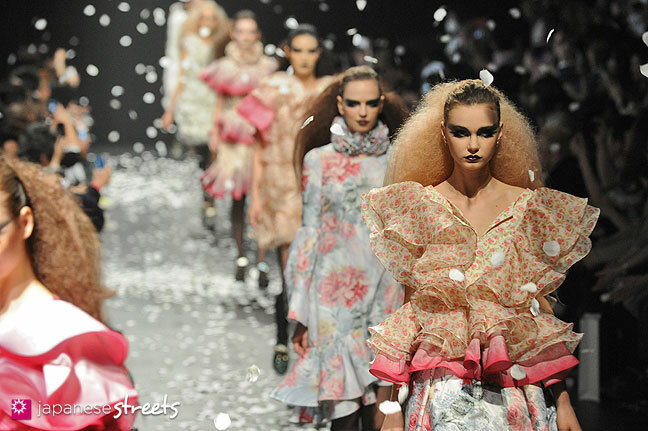 They have been the darlings of Japan Fashion Week for the last few years and have built a strong reputation for flair and sexiness. Toshikazu Iwaya was born in Yokohama, Kanagawa in 1974 and graduated from the Menswear Design course at Japan’s famed Bunka Fashion College in 1995. In 1996, Iwaya joined AT ONES’ Inc. He started his fashion label DRESSCAMP in AT ONES’ Inc. in 2002, the first company store was opened on January 28th, 2005. The company has DRESSCAMP stores all over Japan and at one time expanded abroad with shops in Hong Kong, Taipei and the British Virgin Islands.